There are many things to do on a trip to London – a visit to one of the great museums perhaps, or a bit of souvenir shopping down the cobbled streets of Covent Garden. The opportunities to have a great time in London are endless, which is why it is impossible to see and do everything the city has to offer in just one trip. Even born and bred Londoners still find things to uncover amongst the streets of the capital of England. One thing that is not to be missed if you enjoy live theatre, however, is an evening or matinee performance of a top West End show. So what is on offer? If you are a fan of musicals then the fairly new Ghost the Musical is one to see. Having premiered in Manchester, the show transferred to the Piccadilly Theatre in 2011 with great success, and a Broadway production of the show has even opened with the original London cast. Ghost the Musical is based on the 1990 movie starring Patrick Swayze, Demi Moore and Whoopi Goldberg, and tells the story of murdered Sam who is trapped between this world and the next. Unable to contact his girlfriend, Molly, on Earth, he speaks through a psychic medium to warn her of the dangers she faces. It is a captivating story, made even more brilliant by the original score written by Grammy Award winner Glen Ballard and Eurhythmic star Dave Stewart, and if you liked the film, you will love the musical. Perhaps you are coming to London with the kids in tow? If so, then you may want to take them along to a show that the whole family will enjoy. Shrek the Musical is a fun-filled, family friendly show guaranteed to get everyone laughing, and features all of the main characters from the DreamWorks film we know and love such as Donkey, Princess Fiona and of course, the man himself, Shrek. This feel-good musical features a brilliant score with songs such as ‘I’m a Believer’, ‘Freak Flag’ and ‘I Think I Got You Beat’. 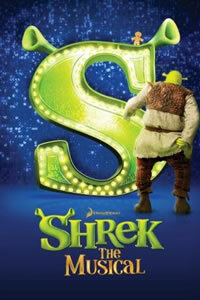 Shrek the Musical is currently playing at the Theatre Royal, Drury Lane. Musicals aren’t for everyone, and if you prefer to watch a good play, then there are plenty of options to choose from. One of them is the critically acclaimed One Man, Two Guvnors. Set in Brighton in the 1960s, the story tells of Francis who has to keep two guvnors’ secrets from each other, and is full of extremely hilarious moments and ridiculous consequences. Originally starring Gavin and Stacey’s James Cordon who has gone on to star in the Broadway production of the play, it now features Owain Arthur in the leading role. One Man, Two Guvnors will play at the Theatre Royal, Haymarket from 2nd March 2012. There are plenty of other plays and musicals to see in London, and these are just some suggestions of what to purchase tickets to. There are classic shows such as Billy Elliot and The Phantom of the Opera or newer musicals like Matilda, so the choice is yours! Tim Sullivan is a London-based theatre director and regular contributor to Cheap Theatre Tickets, where you can find great deals on Shrek the Musical tickets.